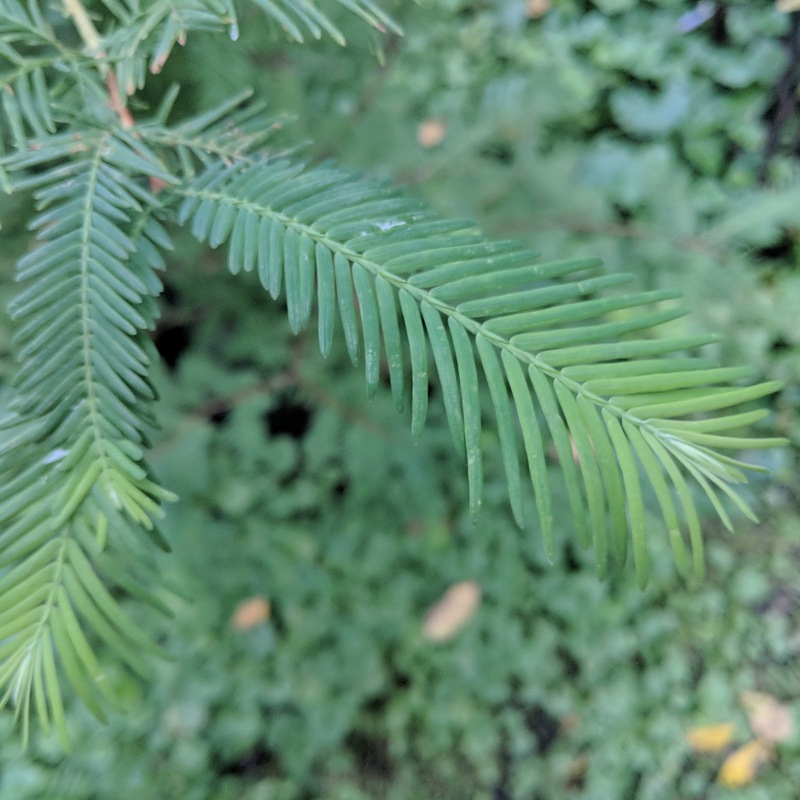 Look at these beautiful needles growing out on the tips of our Dawn Redwood. We planted the replacement tree in July of this year after having last year's tree die and not come back. A little under a year ago, I posted this photo of the old Redwood and asked the question: "Is our Redwood Tree going to survive?" Turns out, the answer was "no". And in looking at this photo of new, delicate growth vs. the brown and dry tree from last year, it is plain to me now. We've had a bunch of rain in late August and the first part of September and I babied this thing through the beginning of August, so I'm happy to say that we've given this tree the best chance at surviving the winter. I'm also encouraged by this new growth and hopeful that it signals that the tree has found a good groove and is putting down roots while putting on this show with new needles on the tips of the tree. I'm going to go get a few bags of mulch and lay down a new protective layer on this and a few other trees before the cold temperatures arrive in an attempt to shelter this young tree's delicate roots from the frost as best I can.